This is what happens when you have a dune buggy but want it to be a salt flat racer or even a dragster. 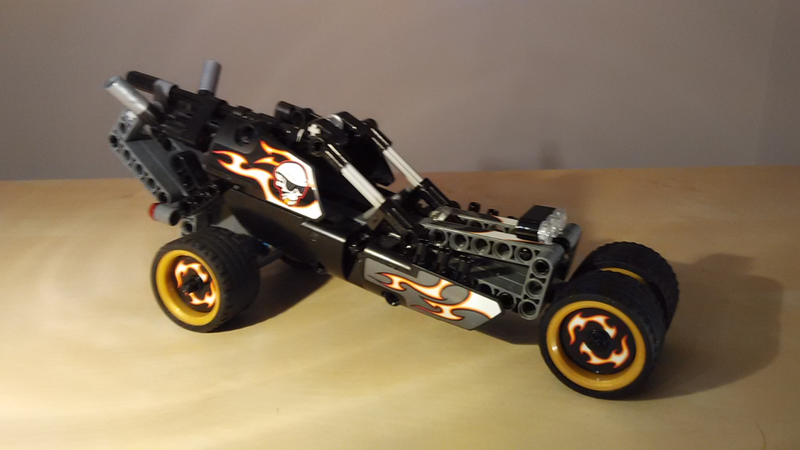 Very fast and very durable, performs astonishing wheelies and looks as scary as a golden-toothed-and-cheap-sunglasses-skull-adorned racer could get. Here's the LDD file if someone's interested. Couldn't assemble the whole thing because of the usual LDD shenanigans, but it's kinda straightforward when you go those three pics. 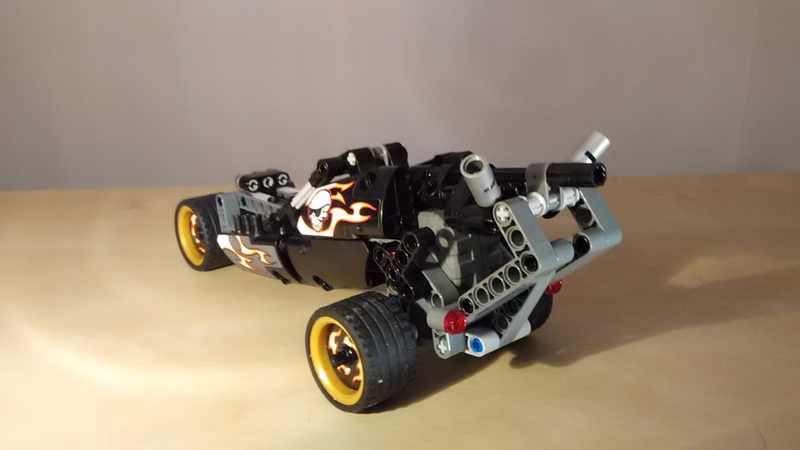 That orange bulky thing is, of course, an equivalent of the pull-back motor not included in LDD - shoutout to marco9999 for the design. 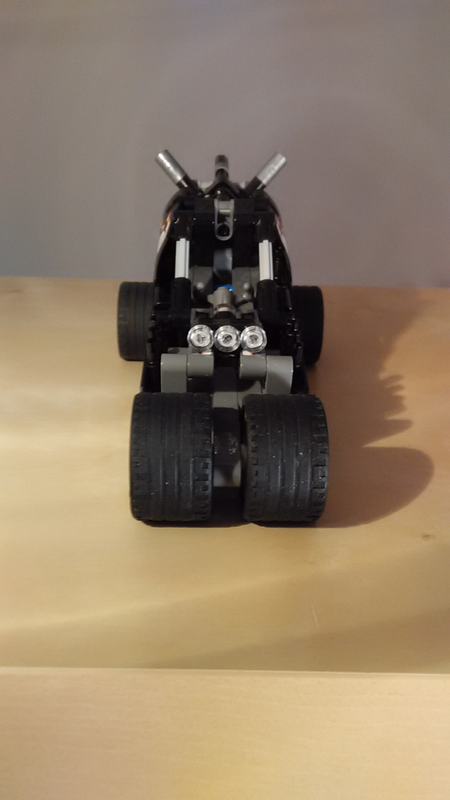 It looks like a vehicle Batman would ride in. ;) It's awesome! I knew someone would think of Tumbler, however the fact it kinda looks like that wasn't deliberate.